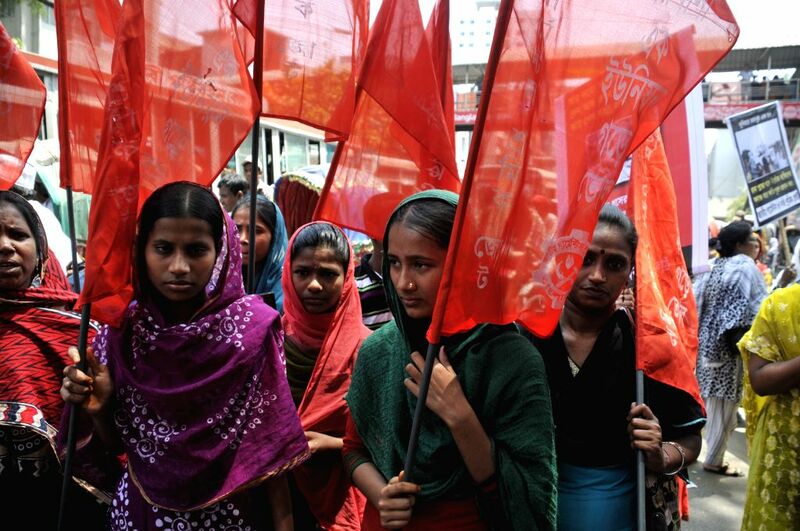 DHAKA, April 23, 2014 - Women garment workers take part in a protest rally demanding proper compensation in front of the National Press Club in Dhaka, Bangladesh, April 23, 2014. At least 1,135 people, mostly garment workers, were confirmed dead as an eight-story building "Rana Plaza" housing five garment factories crumbled into a cement grave on April 24, 2013 on the outskirts of capital Dhaka. 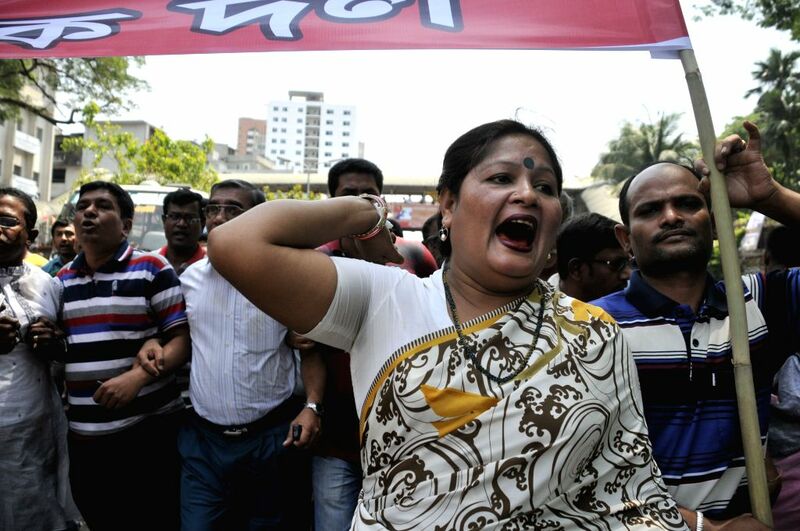 A woman garment worker shouts slogans during a protest rally demanding proper compensation in front of the National Press Club in Dhaka, Bangladesh, April 23, 2014.